In this post we will see how to learn CLI commands to configure a WLAN. 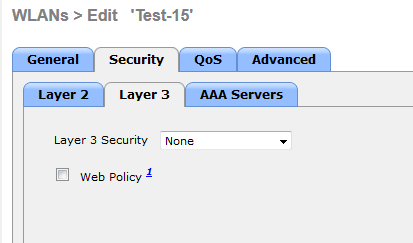 I have created a WLAN called “Test-15” with wlan-id 15. Here are the default settings once you create a WLAN. Here are the CLI commands generated by this basic WLAN creation. Once you take a back up of the WLC configuration you can derive this. 7920-support   Configures support for phones. IPv6Support    Configures IPv6 support on a WLAN. 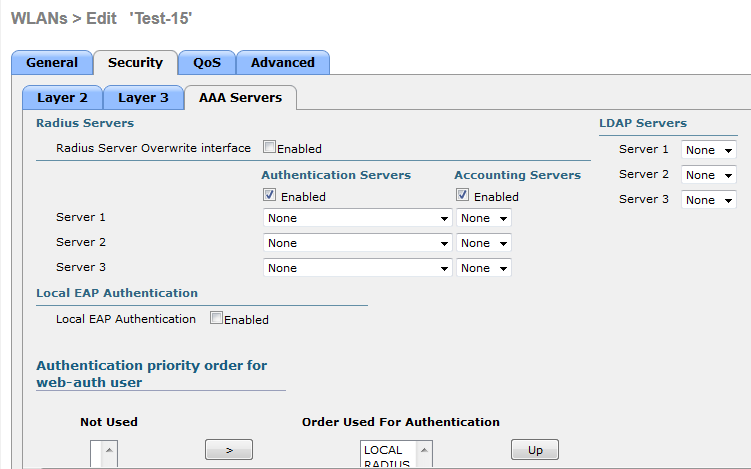 aaa-override   Configures user policy override via AAA on a WLAN. apgroup        Manage AP Groups VLAN feature. 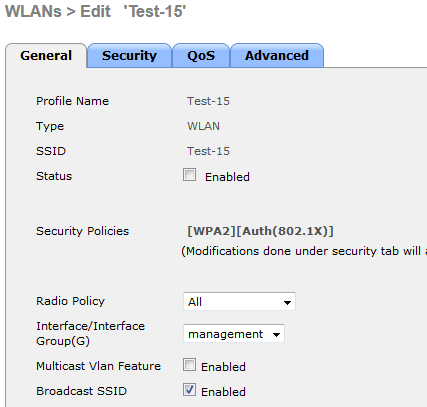 band-select    Allow|Disallow Band Select on a WLAN. broadcast-ssid Configures SSID Broadcast on a WLAN. 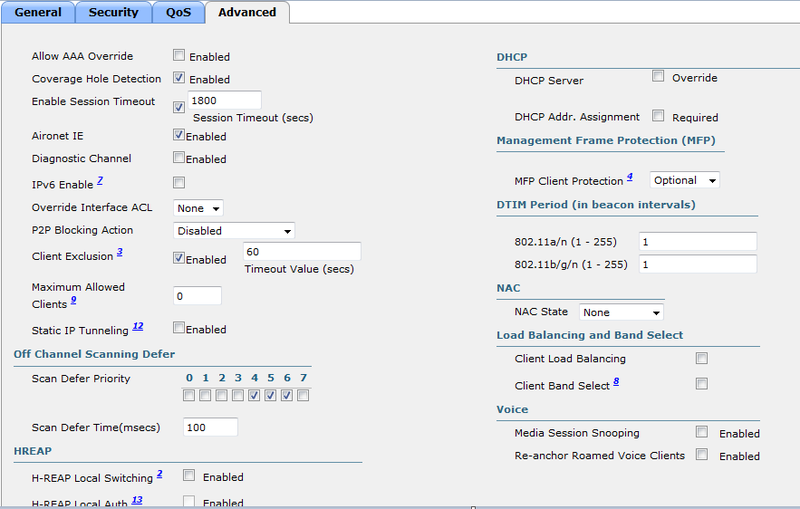 ccx            Configure Cisco Client Extension options. channel-scan   Configures off channel scanning deferral parameters. custom-web     Configures the Web Authentication Page per Profile. dhcp_server    Configures the WLAN's DHCP Server. diag-channel   Configures Diagnostics Channel Capability on a WLAN. h-reap         Configures H-REAP options for wlan. interface      Configures the WLAN's interface. ldap           Configures the WLAN's LDAP servers. load-balance   Allow|Disallow Load Balance on a WLAN. local-auth     Configures Local EAP Authentication. mac-filtering  Configures MAC filtering on a WLAN. max-associated-clients Configures maximum no. of client connections on wlan/guest-lan/remote-lan. mfp            Configures Management Frame Protection. multicast      Configures the WLAN's multicast parameters. 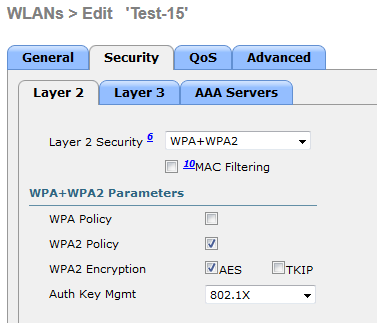 nac            Configures NAC on wlan/guest-lan/remote-lan. peer-blocking  Configure peer-to-peer blocking on a WLAN. qos            Configures Quality of Service policy. radio          Configures the Radio Policy. radius_server  Configures the WLAN's RADIUS Servers. security       Configures the security policy for a WLAN. 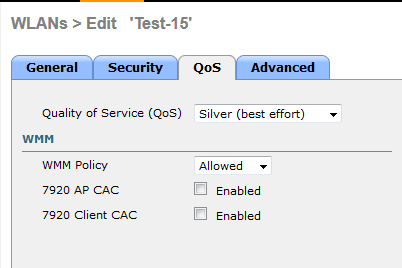 sip-cac        Configure SIP CAC Failure policy. static-ip      Configures static IP client tunneling support on a WLAN. There are 44 commands… How do you remember this… Let’s break it down to the section corresponds to GUI. Here is the corresponding CLI for this section. (WLC2) > config wlan ? In next post we will drill in to more detail on each section. Thanks for the detailed analysis of your experiences throughout this endeavor…excellent information and guidance! Not sure if you know this little trick as it relates to WLC IOS commands…one can use “debug aaa tacacs enable” on the WLC and when you go to the GUI and offer a configuration, the WLC will output the CLI commands via the debug as one configures the WLC from the GUI. Hi Rasika I was following your post because I’m want to learn use cli I guess it’s important for ccna wireless test. Well the main goal it’s create an Dynamic interface and wlan with WPA WPA2 security, because I’m still working with ACS install. ERROR: WLAN 10 is already in the requested state. Now everything is working, I’m still working in mu ACS installation and after configure this I will work with Autonomous AP.